This past Sunday, I attended my very first clothing swap event. I was invited by one of my local Facebook friends and mostly went because I was intrigued and wanted to get out of the house. I still had some of the clothes I’d purged during my May “KonMari Process,” as the local consignment store was only interested in a portion of my cast-offs. So I decided to take those items with me to the clothing swap and see if anything there caught my fancy. In today’s post, I share my clothing swap experience and what I learned from it. Have you ever attended a clothing swap event? I had no idea what to expect from the clothing swap, but as I wrote above, I was curious. The event was being held in a fairly upscale area of town, so I had high hopes that I might find some hidden gems there. Not that I was in search of anything really specific, but I liked the “treasure hunt” aspect of such an event. That element was what used to have me visiting consignment stores on a regular basis. I never knew what I might find and I always hoped I’d discover a “diamond in the rough” among a vast array of virtually worthless rocks. When I entered the event on Sunday afternoon, I was told that there were no hard and fast rules. There was no cost to participate and one wasn’t limited to going home with the same amount or fewer items than she had brought with her. Many clothing swaps are fee-based and include item limits, but this one was a lot more open-ended: bring what you want and leave with as much or as little as you desire. The clothes and accessories (there weren’t many of those) were all arranged by category across a series of long tables in a large room. I was instructed to lay my items out in the appropriate places and then peruse the offerings to see what I might find. As I laid out my items, I quickly realized that my offerings were clearly the best of the mix. My garments were only gently used and my jewelry pieces were in good shape. Everything I brought with me was of at least moderate quality and many of them could be considered high quality. There was really nothing wrong with any of them except they didn’t work for me and my life any longer. I left the event feeling like it had been a waste of my time to go there. All was not lost, however, as I was able to enjoy a healthy dessert (who knew that raw, vegan, gluten-free carrot cake could taste so good?) at the venue’s café before I left. That gave me some time to think about what I learned from attending the clothing swap and how I might be able to share those lessons in a blog post. I also pondered my recent second-hand store experiences and noticed some common threads. The following is basically a free-flow “brain dump” of those musings. As a result of writing this blog for 2.5 years and making a concerted effort to build a workable wardrobe, my closet is in a much better place today. While I still feel like I have some work to do before I feel truly satisfied with my clothing and personal style, I have made a great deal of progress. I no longer regularly buy things on impulse or go for quantity over quality. These days, my purchases are much more considered and deliberate and are based more often on true wardrobe needs rather than fleeting whims. I now almost exclusively shop retail and I have very little interest in the consignment shopping that used to be a mainstay for me. Not only did I realize that resale shopping led to a lot of mistakes (see this post for my analysis of that), but I also came to feel that my time spent trying to find “hidden gems” could be better utilized on other pursuits, many of which are not related to clothes or shopping at all. Declining Quality or Raised Standards? Since the beginning of the year, I have probably made five trips to drop off castoffs at what used to be my favorite consignment store. I generally have to wait at least twenty minutes for the staff to go through my items and select the pieces they’d like to sell, during which time I look through the store’s offerings. I have increasingly become less and less impressed with what I’ve found there. I have often wondered why that was the case. Had the items there declined in quality or had my standards increased? In truth, I believe it’s a combination of these factors. Garment quality has gone down, which motivated my writing this post (I still plan to create a permanent page on the site for quality clothing recommendations), but I am also a lot more selective than I used to be. I wonder if I would have felt differently about last weekend’s clothing swap it had been held three years ago. Would I have ooh’d and aah’d about what I saw there like many of the other attendees? Would I have plucked out a handful of “almost” or “it will do” items simply because they were free for the taking? Would I have tried to rescue ill-fitting garments through alterations instead of leaving them behind? In my heart of hearts, I know the answer is yes. The Debbie of yesteryear would have come home with probably at least five pieces, most of which would have been worn only once or twice, only to hang in my closet and induce feelings of guilt and then be passed on a year or two later. I realized as I pondered my clothing swap experience that I have changed. I am no longer highly motivated by the acquisition of new clothes, shoes, and accessories at all costs. Clothes and shopping are no longer my primary interest and aim in life. I still care about what I wear and how I look, probably still too much, but that’s a topic for another post. I think it’s fine and even good to care about clothes. Shopping isn’t a bad hobby to have at all, despite what the “mean girls” wrote on their forum back in April. It’s all about balance and how shopping and clothes fit into our lives. More importantly, what matters most is how we feel about the role these interests play in our lives. We are the only ones who can truly determine if something is innocuous or problematic for us. Standing in front of the Crystal Pier, which has been there since 1927! A beautiful view of Tourmaline Beach in Pacific Beach, San Diego. Now don’t get me wrong… I haven’t done a complete 180 such that I look down on the activity of shopping and those who enjoy it. I am still one of those people after all and probably always will be. I am just beginning to feel that maybe, just maybe, shopping is falling into its proper place in my life. It is no longer my be-all, end-all activity, the default thing to do whenever I have some free time and feel up to leaving the house. I still sometimes choose it, as I did with the clothing swap, but my day no longer feels wasted or ruined if I come home empty-handed. I got a lot more than a few new items of clothing last weekend. I came home with some nice photos, memories of my time at the beach, and the realization that I truly am a recovering shopaholic. I am getting closer and closer to my goal of trading my full closet for a full life. As I typed that, tears welled up in my eyes, but they weren’t tears of sadness. They were tears of joy and hope, hope that maybe I will finally be able to live a life that will truly inspire me, filled with things that no store sells and which money cannot buy. And now you’ve made me cry. You’ve finally realised what I’ve known all along…you’re enough. I, too cried. Bravo, Debbie! Keep up the good work. It is even more rewarding reading your blog now. I am proud of you and happy for you. It is noteworthy that you don’t put down those who are still struggling more than you (converts to anything often put down people who adhere to that from which they converted, I have observed) and that you consider yourself always a person interested in clothes and shopping, which we agree is neither good nor bad, just an interest among others. Thank you for your kind words, Helen. I would never put down those who still struggle with shopping. For one, I don’t think I am out of the woods fully yet. I know that I am vulnerable to relapses. Also, putting people down wouldn’t make me feel better and it certainly wouldn’t help them! And I want the help others as much as I can, even if I don’t have it all figured out. I really feel that I will always enjoy clothes and shopping, but I’m happy that it’s no longer the ONLY thing I enjoy. I would also like to add to my previous comment that I’ve observed that at consignment stores/thrift stores people are just dumping their worst clothing (fast fashion, damaged, or clothing that is very very out of date and unlikely to sell). I would say that 75% of what I see in the thrift stores are fast fashion brands these days. Very very sad and selfish. I donate my unwanted clothing (doesn’t fit my style anymore, poor fit, not good for lifestyle or body type, etc) to Housing Works a nonprofit that works on helping to provide services to HIV sufferers. I would never send clothing to them that I knew that they wouldn’t be able to sell to make money for their cause. The value of clothing decreases the moment you leave the store with your purchase, with fast fashion I imagine its value depreciates even faster. Luckily NYC does have a program for textile recycling that I did send all my very old and used clothing to be turned into rags and such. I found that I’m usually sending in things that are much higher quality and in fashion than the rest of the stuff at these consignment stores. Then again I’ve never purchased much of anything from a fast fashion brand even when I was a high school and college student going shopping with my friends at the mall. Even then I was shopping for quality; though I really had no idea what suited me then and just recently started studying up on this. The organic cotton and environmental friendly fabrics that I purchased during that period of my life that I have kept are still going strong today except some of the cotton pieces which did eventually develop small holes over the years. In fact I had to get rid of some of it because it no longer suited my personal taste NOT because they had wore out. I really wish people would stop settling for fast fashion (current consume of fast fashion is on the rise I’m afraid), because it only sets the fashion industry back even further away from sustainability. To compete other retailers are adopting the fast fashion quality standards and practices and that’s just unacceptable to me and I’ve noticed to others too. Hopefully we’re going closer towards a tipping point as we have with food and the way its produced and there will be more support for greater quality in the future. For now I choose to be very very deliberate about my purchases purchasing a lot of it handmade by small companies, or only from companies that have the best sewing quality and customer service, or off of Ebay (there’s so many new with tags clothing out there or barely used that there’s no need to buy new, poorer quality product for higher prices), and tailoring very minimally. I appreciate your compliment about my selfie, Margaret, as well as your insightful commentary on fast fashion. I have definitely noticed a decline in quality all around, from higher-end retailers down to the resale stores. I hope you’re right that we will soon reach a tipping point, as I grow more and more disappointed with what’s on offer in stores. I think your plan to buy from small companies who offer good quality and customer service is a good one. Ebay can also be good if you know what you’re doing there. I think it’s great that there are textile recycling services out there. Much of what I see in the secondhand stores (and at the clothing swap) should have probably gone there instead! I think you’re probably right, Cornelia, and I should give myself more credit for my higher standards. I have noticed a higher percentage of poor quality, though. I hope things will turn around soon… I am definitely happier with my pared down wardrobe and am finding that I am really wanting less these days. I wish you the best of luck with the changes in your life. Please let us know how things go with your needing to cut back on clothing-related purchased for the foreseeable future. I know you have focused on quality for a long time, so I’m guessing that things will be just fine for you. It sounds like this clothing swap was a useful thing for you to do because it helped you gauge how far you’ve come. Congratulations. I was out of town last week, and went to both an outlet mall and a regular mall. At the outlet mall where I have scored a lot of things in the past that I actually like and wear, the only thing I got was some makeup that I could have bought anywhere. At the mall, I was in Nordstrom’s and tried on 20+ tops and bought one. I wore it today and am happy with it. I have had criteria ( that I sometimes ignore to my own detriment) to help me assess if I should make a purchase. My past criteria has been: 1)would I take it on vacation with me or 2)would I want to meet an old boyfriend wearing it. I added a criteria to my list when I was in the dressing room 3) do I like it more than what I came in wearing? Because I am not lacking in clothes, having clothes fit is not my only interest. I have mediocre at home already. I want something to make me feel like I look good and that I look out together. Kind of like how you rate outfits on a 1-10 scale. I went into a second store and was in a hurry. It was a department store I have in my home town, but I think had some different merchandise. I bought three things. One turquoise print dress and two royal blue tops (completely different from each other). I decided to buy and then assess at home when I had more time. I realized today that when things are in my favorite colors I need to be more careful about fit, because I get distracted by liking the color. As I tried them on and decided to return them, I realized they were both too “fussy”. One with a neckline too wide and one with sleeves meant to turn up that did not stay well. So I wanted to let you know that your words are helpful to me. I also find I am looking more toward quality. I am tired of looking at poor quality garments and it is making me just rule out certain stores entirely that I may have bought from in the past. I love your criteria for deciding whether or not to buy something, Angela! Your criteria number 3 is something that I use, too. I try to always dress in clothes I love when I shop and aim to buy things I like at least as much as what I’m wearing. Good for you about returning the two sub-standard tops. I have been dazzled by color, too, and bought things I should have left in the store (and royal blue is a favorite color of mine as well). Fussy garments will always annoy us and will rarely be worn. I have learned that the hard way over and over again. I’m glad my words have been helpful to you. Thanks for letting me know. You and me both, Debbie :-). Congratulations on your new attitude towards shopping and life in general. Love the selfie! Thank you, Mette. You have been an inspiration to me. You changed very quickly, but it has taken me quite a bit longer. But as long as I’m moving in the right direction, I’m happy. Glad you liked the selfie. I’m getting better at taking those, but I still rarely post them on Facebook (it’s the introvert in me…). Debbie: This post was very interesting in that it showed your journey and increasing self-awareness. We are surrounded by an over-abundance of “stuff” and it can be daunting to find the right path for yourself. I chose to limit my purchases and curtail my shopping so I can focus on quality, fit, durability, and appropriateness for my current wardrobe. This requires being very mindful of needs (vs. wants), lifestyle, body shape, and so on. Although I seldom engage in the physical act of shopping, I spend more time thinking about my wardrobe and wardrobe upkeep than I might have in the (distant) past. I went through a journey somewhat like yours over 30 years ago (before the dramatic plummet in clothing quality). The good news is that when you find the right mix of color, style, construction, fabrication, and so on, then maintenance is easy-peasy; it’s just a matter of freshening and updating as needed. Now if we can just solve the issue of the lack of quality clothing at so many price points…. What I meant to say is that I wholly agree with you. I agree with you, too, Dottie. I am finding that I have to think more about what I’m buying and how it fits into the big picture. But I can see that before too long, I will have a good workable wardrobe in place and will only need to fill in the gaps here and there like you do. I wish I had focused more on quality purchases when they were easier to find… The things we buy today have little chance of lasting as long as many of your pieces do. I’m glad to be buying less, even if it is still more than is ideal. I am really feeling less of a desire to shop and I hope that continues. Yay! Great photos and insights. I am not surprised with your experience at the clothing swap. We are more particular than many people and would not want to wear something that was not in good condition, and would not consider offering for swap anything we would not want to be seen in ourselves. I do think clothing quality has declined a lot over the past 10 years and am sad about many of my much loved pieces finally wearing out. You’re right that we’re more particular than most, Tara. I’m actually proud of that, as I used to be less so. I agree about the plummeting garment quality and it makes me sad. I know that I won’t be able to replace many of my longtime favorites (which I will write about in a future post) with items of equal quality. We just have to do the best we can and hope the quality issue turns around as shoppers start to demand better. Congratulations Debbie! It is so important to take time to reflect on the progress we’ve made. I organized a small clothing swap at my church several years ago. I had gained some weight and wanted to get rid of clothes that no longer fit and have a chance to get some that did. I was able to get a few new things that are still in my closet but I also brought home peices that I’ve since gotten rid of. I think the second hand market still has a place – there’s so much clothing being manufactured! But along with that people have to take care of their clothes and not think of them as disposable. I LOVE this! Not the clothes swap story. The being on the beach in a ballcap, not particularly Pinterest worthy, and feeling completely content in one’s skin. That is priceless. I am telling myself again and again this year – experiences, not things. Experiences not things, such a great line to repeat and live by. I can’t help to notice that this over shopping experience we try to get rid of is somehow imposed on us. To my mind after reading your comment came the following advertisment from a credit card. It goes like this: A walk alone by the beach? Priceless. For everything else there is Master Card. ( I’m sure you know which ad I mean). Isn’t that twisted?It messes with our minds. Thank you, Mo. I actually felt more content in my skin on that beach than I do most of the time. Experiences over things is really a key to happiness in life, I feel. Not that I think we need to all become minimalists and stop shopping altogether, but I’ve learned that my quest for the new all the time wasn’t bringing me contentment or fulfillment at all. And all the while, I lived within minutes of some of the best beaches in the world and I wasn’t going to them. I know you live in an area of unique beauty, too (since I used to live there). When I lived there, I enjoyed it, thankfully, but my priorities got all messed up since I moved to San Diego. I’m glad to be getting things back into proper perspective. Great post! 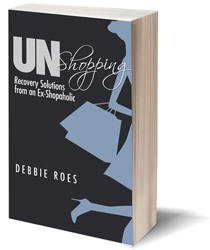 I have been making the same transition from over-shopping to finding activity that is fulfilling. It’s been a bumpy ride for me but rewarding. It’s like a re-invention of myself. Messy. It helps to read your posts. Thanks for being an inspiration. I love to read your posts. Trully. Although, I don’t shop in a way that disrupts my life or is financially destroying I still have a problem with how much time I spend around shopping. All this thinking about pieces that might work with what I already have, the continuous search of yet another thing that I need, the feeling that my blog will not be interesting if I don’t post new things start to weigh heavy on me. I’m taking project 333 just to free time from my life to see what else fits in there. So I can really relate to your feelings. I never go to second hand shops or shop sales any more. It has rarely happened that i bought something I really kept for long or thoroughly enjoyed wearing. I’m glad you are recovering, it takes courage and you seem to be a brave person that loves the truth. I’m mostly an introvert so I enjoy doing things on my own and I would have enjoyed this walk by the beach as much as you did. I appreciate your comment, Angie. I think it’s great that you are taking on Project 333. I got so much out of it myself, although I resisted doing it so much in the beginning and found it quite difficult. It really did accelerate my recovery. I hope it will make a big difference for you and I hope you will come back and share your experience. Thank you for your kind words about my courage and bravery. I never considered myself to be all that courageous, but I guess it does take guts to share so openly on the Internet, especially as an introvert. Yes, I love my beach walks and taking photos. I am enjoying my own company more and don’t need as many distractions to escape from myself as I used to. Debbie, I love, love, love, this personal essay of yours. Your self discovery is pure, fresh. And your photos, the confidence shinning through in your selfie tells us that you have made the crossing over to the other side. The Pacific Beach photos are fun and your skill with a camera is growing in leaps, and how your eye lands on a moment to capture, and the light. Now that you have had time wander in the field where it isn’t all about clothes, or about how we look, my guess is that you will begin to spend far more time there until one day it becomes your regular state of being. I’m also thinking about what Dottie said. Back when I shopped and bought frequently I spent little time thinking about clothes. And now that I’m a careful shopper it is crucial that I think and plan before I shop and purchase. Kind of like planning for a trip, or planning out a menu after inviting guests over for dinner. So yes, of course we must think about clothes in order to stay the course. And according to me it is perfectly fine, absolutely necessary, for those of us with an interest in fabric, design and quality to spend some time researching before we buy so that we can make the best choice possible. Thank you for your kind words about my writing, growth, and photography, Terra. I agree that it will get easier NOT to be preoccupied with shopping the more I start to enjoy other things. But you’re right that the shopping I do will take more planning and consideration. I am fine with that, as I know it will produce better results. I’m all for being more deliberate in everything I do. After all, that is my word for the year, and I need to do an update on that soon now that the year is almost half over! I really hope that caring less about clothes and how I look will soon become my regular state of being. It feels good not to be so preoccupied with those things all the time and to have developed at least one other interest. Thanks so much, Claire. I’m glad you liked my post and the selfie. I’m so proud of you, Debbie. This post has touched corners of my heart i didn’t know existed. 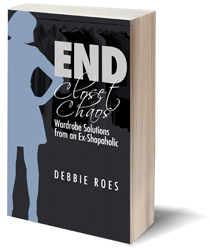 As I continued to read, I could picture the scene in my head — Debbie going through crappy clothes and doing a mental check in her head if the clothes matched the list of quality check she prefers….deciding it doesn’t matter if she only gave clothes and didn’t get any in return, eating the cake and purposefully walking out the door to find something better to do with her time. I almost jumped with excitement when I read you left the place and decided to go click photos…. And that’s you’re ACTUALLY happy you came home empty handed. You, my dear friend, are definitely cured. I do remember an instance when I wanted to shop so badly, I cried like a baby when I could not find anything that fit well n had to go back empty handed. It’s one of my most embarrassing moments ever. I wanted to buy a leather jacket and my husband offered to take me shopping. He hates shopping but he decided to be a good sport that day. We went to the mall and I must’ve tried every single leather jacket at every single store. Sometimes I even went back to the store to re-try so I could compare notes in my head on which jacket I liked best. But somehow, I wasn’t satisfied with any. After 4 hours of this, my husband gently suggested we should go home and come back another day or maybe goto a different mall in the hopes that the stock might be different. When we sat in the car, I started howling and just didn’t know why. My husband really freaked out and stopped the car on the side – begging me to tell him what’s wrong. You see, I’m not a crier…… I rarely rarely ever cry, if at all. When I told him I’m crying because I really really really wanted a leather jacket today, I could see he was hurt and confused. We had tried, right? In any case, sweetheart that he is, he decided to take me to a different mall right then and there, vowing that we will not go home until I found this elusive jacket I would love. We did find the jacket that day thankfully, but I always remember this incident with misery. I can’t believe I put him and myself through that. You seem to be making giant steps in your ‘recovery’. 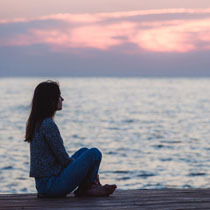 Not only seeing that you don’t need or want any of the clothes on offer, but in recognizing that your true self can be happy alone and absorbed in an activity other than shopping. I believe humans are only truly happy when they are being creative. It may be a home, children, food, art, craft, clothes, gardens… anything that allows them to record, interpret and make their mark on the world in their own individual way. You have found your medium in photography and your pictures are beautiful. If you are looking for other areas to explore with your photography I would suggest a trip to the wildlife park. I have some super photos taken there, and of the landscape en route. I appreciate your kind words, Lynn, and I agree that creativity is important for happiness. I have a few outlets for my creativity and I’ve enjoyed adding photography to the mix. Good idea about going to the wildlife park. I will plan to do that soon before it gets too hot. I have mostly taken photos of landscapes thus far, but I think it would be fun to branch out and photograph animals as well (in their landscapes there). As for myself, I’m finding creating outfits with what I already have in my wardrobe in the Stylebook app is making me content to shop a lot less and challenging me to use and enjoy what I have. I am not a minimalist, I enjoy variety and I recognise I have enough. Thanks for your comment, Sew Stylish. I appreciate your kind words. I’m glad you are enjoying using the Stylebook app. I may have to try that one, too, especially after what you said about it. Like you, I am also not a minimalist and don’t really aspire to be one. But recognizing that we have enough can really help to increase our satisfaction in life. Variety is good, but I’ve learned that I don’t need to have a jam-packed closet in order to get it.